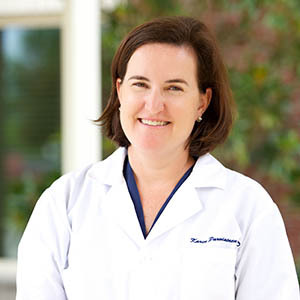 Dr. Karen Parviainen joined Savannah River Dermatology in 2015. She is a native of Augusta and received her undergraduate degree from Georgia Tech in 1994. She attended medical school at the Medical College of Georgia. She completed an internship at the Mayo Clinic and completed her residency in Dermatology at the Medical College of Georgia in 2002. She is a member of the American Academy of Dermatology, American Society for Dermatologic Surgery, Georgia Society of Dermatology and Dermatologic Surgery, and Augusta Dermatology Society. She enjoys spending time with her family. She is married to Peter Parviainen and they have four children.